As Tanya and I left St. Petersburg for Peterhof, I was in a foul mood. A pickpocket had cut through the bottom of my backpack and swiped my camera. The ferry taking us was packed and the adorable child on my right had just spilled his ice cream down my leg. Why, I oughta'. My mood was soon to change. Apparently, sensing my volatile mood, Tanya hadn't said a word on the 20 minute ferry ride. As we exited onto a long pier at Peterhof, she grabbed my hand and more or less tugged me down to what looked like an ancient French road. This was, in fact, the Grand Canal leading to Peterhof. The Grand Canal is a water way with two paths cutting up the side of it towards Peterhof. The canal cuts through a forested area with trees nearly forming a roof over the canal. The atmosphere is very serene, particularly since I noticed the ice cream tike on the opposite path of the canal. Walking no more than a mile, one comes upon Peterhof and the Great Cascade. The Great Cascade is aptly named. It is a collection of fountains and statutes sitting on tiered marble levels rising to the front of the palace. 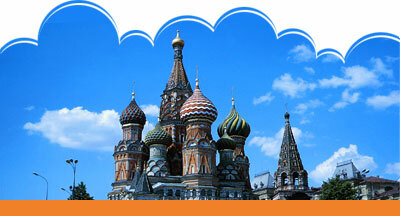 After living in Russia for eight months, I was use to seeing drab, grey five story buildings. The burst of gold, white and black colors was amazing and made me wonder what Russia must have looked like before communism. After gaping at the Great Cascade for nearly an hour, it was time to take the tourist tour of the palace. We dutifully stood in line and made small talk with two German couples behind us. Compared to the general state of decay in most of Russia, we couldn't get over the fact the palace seemed to be in such good shape. As the tour got underway, I kept getting the feeling there was something "off" about the palace. For a place built in 1715, Peter the Great sure seemed to know a lot about electricity. In particular, he seemed to have planned well ahead by creating some type of internal piping structure for the future electrical wires. Well, he was Great and perhaps the powers that be had done a little remodeling over the years. Alas, one of our German friends was puzzling over the same thing. As we stood on the second floor of the palace, Jan asked our guide about the anomaly. He asked it in front of our group of about 20 people or which 75 percent were Russian. He asked in a heavy German accent. Our guide dutifully replied the Germans had bombed Peterhof during World War II. Peterhof had been completely destroyed. 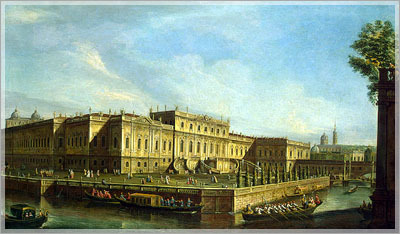 The palace had subsequently been rebuilt, which explained its modern feel. There was one of those pregnant pauses, which occur in such situations. Jan turned completely red. Taking pity on him, the tour guide immediately launched into an aggressive discussion of a particular picture on the wall while we dutifully paid attention and asked inane questions. Oddly, the fact Peterhof is a modern structure doesn't really detract from the experience. The palace and surrounding structures simply feel like a real palace. With many palaces through Europe, you get the feeling Disney was somehow involved in the construction. At Peterhof, there is a definite feeling of elegance, but elegance mixed with a practicality required by day-to-day living. In short, you can definitely image Peter the Great living there in the summer. Rick Chapo is with http://www.nomadjournals.com - makers of travel journals. Writing journals are the perfect travel accessories. Visit http://www.nomadjournaltrips.com to read more travel articles and travelogues.